RealEstateAgent.com is committed to protecting the privacy of its user/clients. When you register for RealEstateAgent.com's online services, the information you provide to us is used to provide the services you have registered for, to deliver e mail notifications to you, and from time to time, to validate your identity. We value our customers and aim to prevent any realestateagents.com complaints. Our data collection policies with regard to current and future services allow you to choose how much information you provide to us, and to control how we use that information. Read below to find out more. 2. Personally Identifiable Information refers to information that tells us specifically who you are, such as your name, e mail address or phone number. In many cases we need this information to provide the personalized or enhanced service that you have requested. We hope that, like many of our customers, you will find it beneficial to provide Personally Identifiable Information to RealEstateAgent.com so that we may provide valuable services to you. Registering with RealEstateAgent.com will also cause a RealEstateAgent.com cookie to be issued; this cookie allows RealEstateAgent.com to "recognize" you when you are on RealEstateAgent.com's site to allow us to personalize our service for you. As a service to our user/clients we provide links to various unrelated third party web sites. We are neither responsible for the content on nor for the information collection practices of such web sites, nor do we control the privacy policies of such web sites. 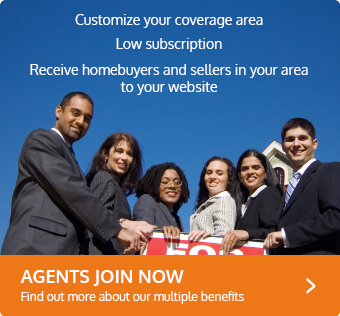 Their policies may be substantially different in this regard from RealEstateAgent.com. Accordingly, we recommend that you review their privacy and information collection policies before providing any information to such third parties. When you register for RealEstateAgent.com online services, the information you provide to us is used to provide the service for which you have registered. Depending on the services you have chosen to use, some or all of your Personally Identifiable Information may be used by RealEstateAgent.com to provide such services. Personally Identifiable Information may also be provided to intermediaries and third parties who assist RealEstateAgent.com in providing you with the service you request. For example, if you register to use our REALTOR� / Real Estate Agent service and agree to its terms, some of your information may be shown to real estate agents (e.g., characteristics of the home you wish to sell), but not all of your information if you are a seller (e.g., your e mail , since this service protects your anonymity). As another example, when you request assistance in estimating the value of your home, we may provide some of your Personally Identifiable Information and general information regarding your home to one of our partners who may in turn share your information with a local real estate agent familiar with your market to assist you. Once you have been contacted by a real estate agent, we recommend that you contact them directly for information about their specific privacy policies. When registering for RealEstateAgent.com services, you provide RealEstateAgent.com with your e mail address. We will use your e mail address to deliver these RealEstateAgent.com services, such as notifying you of new agent proposals if you registered for our Find a Real Estate Agent service. We and our partners may also send you information about other services if you have opted in to receiving such notifications. Service Providers: We use third party real estate agents to provide assistance in estimating the value of your home. When you sign up for our services, we will share all of your personally identifiable information so that the real estate agent can provide that service. If you post a testimonial on this web site, you should be aware that any personally identifiable information you submit here can be read, collected or used by other user/clients of this site, and could be used to send you unsolicited messages. We are not responsible for the personally identifiable information you choose to submit to this site. RealEstateAgent.com operates secure data networks protected by industry standard firewall and password protection systems. Our security and privacy policies are periodically reviewed and enhanced as necessary, and only authorized individuals have access to the information provided by our customers. Any particularly sensitive information, such as a customer's credit card number collected for a commerce transaction, is encrypted prior to transmission. You the consumer are ultimately responsible for the security of your RealEstateAgent.com Member Name and password. Please take care to store your RealEstateAgent.com Member Name separately from your account password, or better yet, choose a password that you don't need to write down at all. RealEstateAgent.com believes strongly in providing you with the ability to access and edit the personal information that you have provided to us. To update the information retained about you, please contact RealEstateAgent.com customer service. Information about the user/clients of our web site, including personally identifiable information, may also be disclosed in connection with certain standard business transaction such as any debt financing, acquisition or merger, sale of assets as well as in the event of a bankruptcy, assignment for benefit of creditors or receivership in which personally identifiable information could be sold or transferred to third parties as an asset. To help service your requests, we may provide certain Personally Identifiable Information to third parties who may use this information for their own purposes, including sending advertising to you. If you would prefer to opt out of this usage of your Personally Identifiable Information, you may do so by updating your Personal Profile and opting out of such usage. 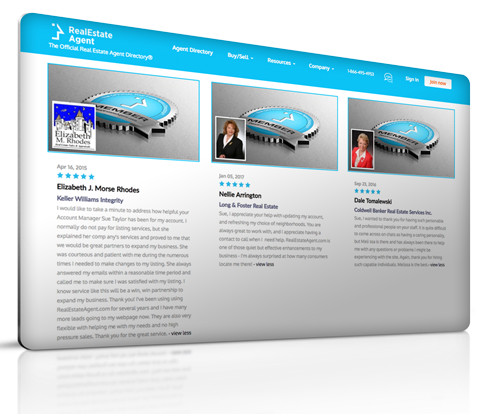 To access your Personal Profile, you must first log in to www.RealEstateAgent.com. However, we will still use and provide to third parties your Personally Identifiable Information to fulfill your request. We reserve the right to modify this privacy statement at any time, so please review it frequently. If we make material changes to this policy, we will notify you here, by e mail or by means of a notice on our home page. What do I need to know about Indemnity Insurance? What is comprehensive homeowners insurance? What is a proration? What is Long Term Care Insurance? What is a lease purchase mortgage?